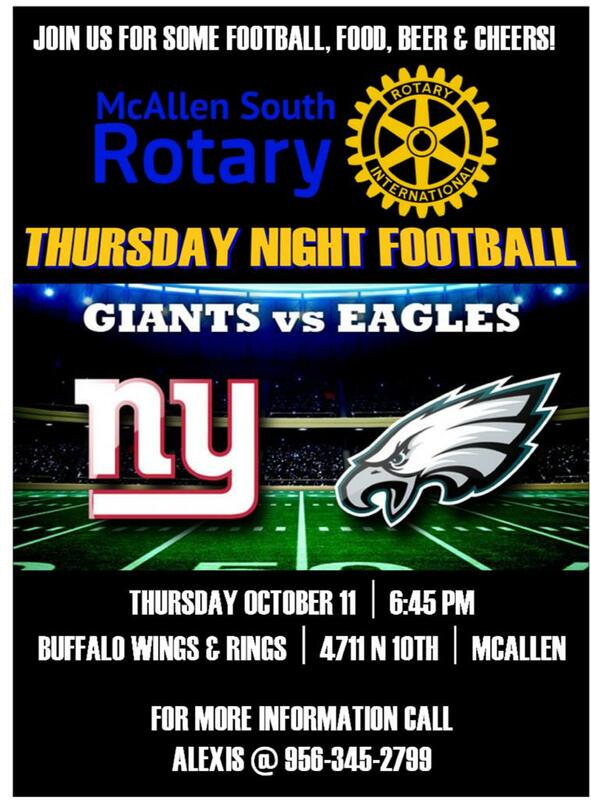 The McAllen South Rotary will host a Thursday Night Football Social Event at Buffalo Wings and Rings from 6:30 until the final tick of the game clock. Please come on by for wings, drinks, and fellowship! If you're interested in joining The Mcallen South Rotary Club, please come on out! The event will take place at the Buffalo Wings and Rings at 4711 N. 10th Street in North McAllen.